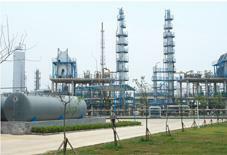 Our company offers naphtha cutting, reorganization of C9 crude aromatic hydrocarbon separation, reforming C10 crude aromatic hydrocarbon separation and other crude aromatic hydrocarbon separation technology. My company's crude aromatic hydrocarbon separation process with advanced process, the process of flexible operation, the process of low energy consumption, product yield advantages.In the case of 60,000 tons / year C10 crude aromatic hydrocarbon separation, the high boiling point solvent product has high aromatic content, strong dissolving power, low toxicity, small smell, high flash point, high boiling point, moderate evaporation rate, stable chemical and physical properties, Good leveling, and does not contain chlorine and heavy metals / physical characteristics, especially in the post-evaporation stage can play a high solubility, so that the smoothness of the coating and no orange peel, good gloss. In addition, it can also be used as a cleaning agent for precision machinery and the deployment of pesticide emulsifier. 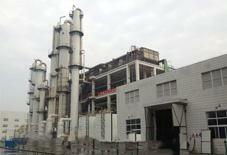 Is the production of high-grade paint, paint, thinner, ink, adhesives, oil additives and high temperature reaction of the ideal solvent, but also as anthraquinone production of hydrogen peroxide extractant. In addition, it can also be used as a cleaning agent for precision machinery and the deployment of pesticide emulsifier. 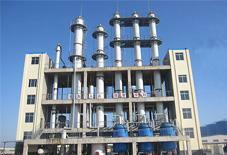 Is the production of high-grade paint, paint, thinner, ink, adhesives, oil additives and high temperature reaction of the ideal solvent, but also as anthraquinone production of hydrogen peroxide extractant.